Early birds will get to enjoy reggae horseback at 7:30am or hummingbird at 8:30am before visiting The Blue Hole Minerals Springs. A special 4:20 plantation tour is included before heading over to reggae horseback and local lunch. You will cool off at the negril seven mile beach and ricks cafe for a our famous Ricks Cafe Sunset. What is The Hummingbird & Blue Hole Mineral Springs Combo Tour? 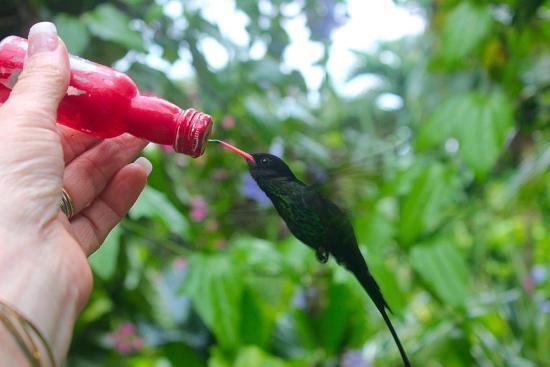 The hummingbird tour allows you to experience nature in your hands while feeding these beautiful hummingbirds from your own bottle in their natural habitat. As these birds fly & drink from each person’s bottle, the moment is truly magical and the photos are memorable. The flower garden is beautiful with many Jamaican trees & unusual plants all of different colors. Immediately we visit the blue Hole Mineral Springs where you test yourself with a short jump into the blue Hole. Tour guides are there with you and they entertain with their acrobatics. The Mineral Springs professes to offer health & revitalization benefits. The reggae horseback riding is a fantastic beach ride and swim and no experience is needed. Unlimited Photos are taken by guides and it’s all Free. Canter down the beach and check that “bucket list”. A local lunch is one of the highlights of this value-added combo tour before heading to negril seven mile beach for the most amazing white sand swim. Ricks cafe is just minutes away and at 5:30 you will be among many from all negril beach hotels, wedding & honeymoon groups, who visit ricks everyday to watch the most picturesque sunset. 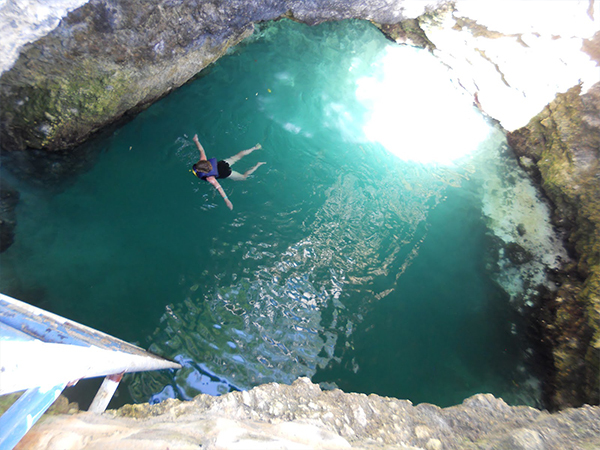 The Blue Hole is a natural cave where you can swim and also watch the cliff divers jump from 25 feet high. Nestled in the southwest corner of Jamaica in the small town of Little Bay, this hidden treasure is majestic. From here you will enjoy our famous horseback riding tour along the golden beaches before heading off for a local lunch. 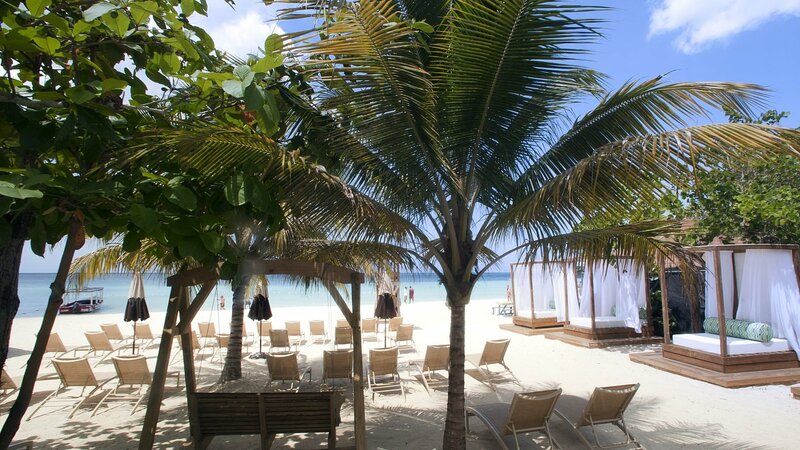 Sandy Haven Boutique Resort located with other negril hotels, couples negril, Swept Away, Azul Sensatori, Royalton negril, Sandals, margaritaville, Riu Negril & Riu Palace but only it’s in the middle of the negril seven mile beach. Sandy Haven accommodates all of our reggae horseback riding guest on our day passes to enjoy this amazing boutique resort before we take you over to Ricks Cafe and watch the famous Jamaican ricks cafe sunset. Here you can swim in negril’s famous turquoise water, walk the seven mile beach, relax & sun bath on a beach chair, enjoy shrimp cocktails or any drink at the beach bar within your budget. We can also get you special discounted rates for transport to rooms, jackie’s on the reef massages, Ivan’s restaurant, Tensing Pen Hotel, Rockhouse hotel,Skylark hotel, Kenny’s cafe, Bongos or Push Cart restaurant. 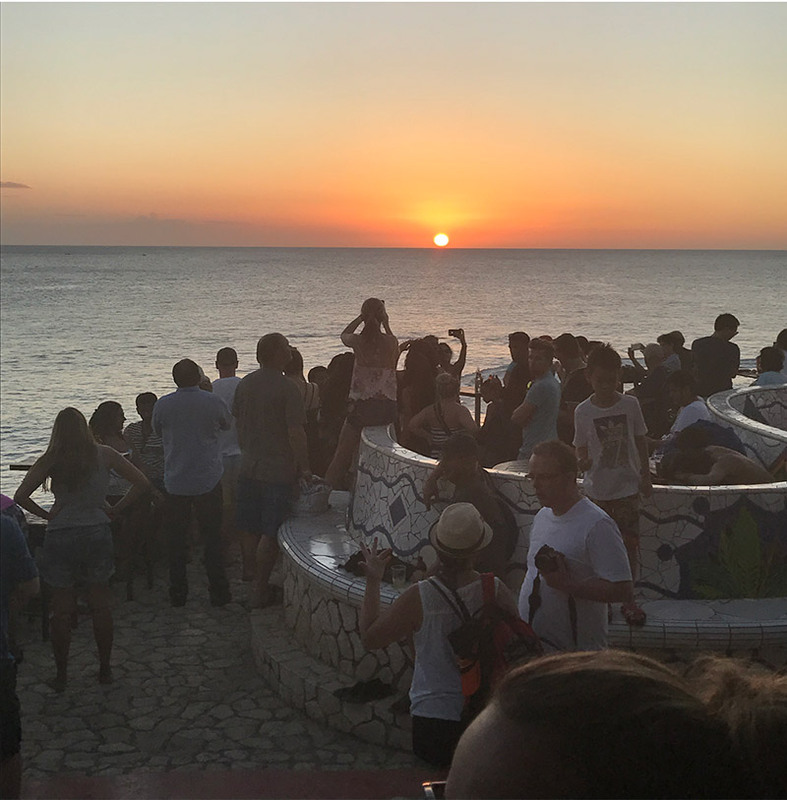 Ricks Cafe is ranked as one of the “Top Ten Bars“ in the World – Ricks Cafe has been around since 1974 and is renowned for the most beautiful sunset in Jamaica. Located at the tip, most westerly end of the island, 60 feet above the negril Cliffs, our world famous Ricks Cafe’ is the perfect way to end your day. Jumping (optional) from 10, 20 or 30 feet is for visitors while our brave & skill Jamaican divers entertain you with somersaults from 60-100 feet as an amazing pre-show to the majestic sunset just minutes away. Awesome Experience ! Please note: Guest pays own entrance fees.